Shares of Cisco Systems fell by more than 10 percent in after-hours trading after the company gave guidance for the coming quarter that fell considerably short of what analysts had expected. Earlier today, Cisco reported sales for the October quarter that missed expectations, and blamed the weakness on declining sales in its emerging markets. During a conference call, Cisco said it expects to earn between 45 cents and 47 cents in its second quarter versus the 52 cents that had been expected. For the year, it expects to earn between $1.95 and $2.05 a share, a lot lower than the $2.10 analysts had been modeling. I just got off the phone with CEO John Chambers, and I asked him what is it that’s hammering Cisco’s expectations so seriously. “The things that we control and influence are going well,” he said. It’s those pesky economic forces that are causing so much trouble. The big one was business in emerging markets: It has fallen off a cliff, from 13 percent growth two quarters ago to a 12 percent decline in the quarter ended in October. Emerging markets amount to more than 22 percent of sales, so its easy to see how that can hurt the overall sales picture. Another segment, sales to service providers, fell 13 percent in the quarter. 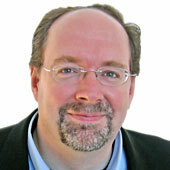 A product transition in Cisco’s high-end routing business is also under way, he said. Some customers are holding back on buying the newer gear, and holding on to their older stuff. “All it takes is about 10 percent of those customers hesitating and that impacts you in a major way,” he said. It’s a situation that should correct itself later in 2014 when those customers get a chance to test out the new products. But Chambers conceded that the next couple of quarters are going to be tough. So it’s that time again, when I select a song that describes Cisco’s quarter. It’s a little tradition I started a few years ago when I first started covering Cisco, and it stuck. Every time I talk to Chambers after an earnings report he asks what the song is going to be. It was more fun when Cisco was coming back from a rough patch, but picking music heading into a rough patch also has its merits. 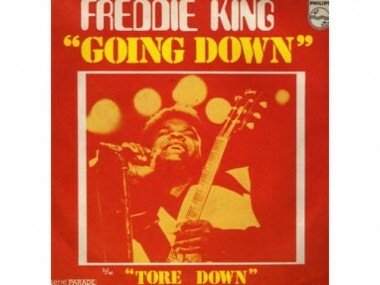 Today I turned to the blues and picked Freddie King’s “Going Down.” The video below appears to have been clipped from “Freddie King, Live at the Sugar Bowl,” a film documenting a King date from the late summer of 1972. Enjoy.